From fashion to finance, technology is revolutionising every area of our lives. 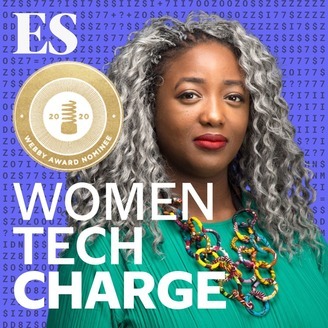 Meet the extraordinary women who are leading the charge.Hosted by Dr. Anne-Marie Imafidon MBE, CEO of www.stemettes.org, Women Tech Charge is a series of candid, inspiring and often funny conversations with&nbsp;inventors, entrepreneurs and even real-life spies. 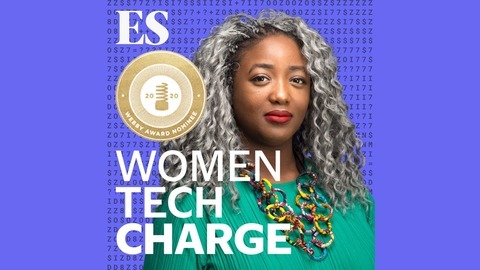 These are stories of eureka moments, successes and failures, passions and ideas, which will inspire you to take charge – woman or otherwise.Women Tech Charge is a podcast from the Evening Standard. For the latest news, entertainment and more audio content visit www.standard.co.ukAsk your Google Assistant or Alexa for the news from the Evening StandardTwitter: @eveningstandardFacebook: Facebook.com/eveningstandardInstagram: @evening.standardFollow Anne Marie on twitter at @aimafidon. Priya Lakhani is a living example of how to use business to do a little good in the world. Her first company, Masala Masala, sold fresh Indian cooking sauces via supermarkets like Waitrose, and used the proceeds to provide a meal for a homeless person in India for every jar sold. When she discovered the overburden of workload affecting teachers in schools, and the knock-on effect for the students they teach, Priya spotted an opportunity to solve a new problem. Her company Century Tech now uses Artificial Intelligence and neuroscience to augment students' learning experiences in schools, enabling teachers and parents to make targeted interventions to improve children's education. How did the owner of a curry company transition into a pioneering technology guru? Listen to the episode to find out.